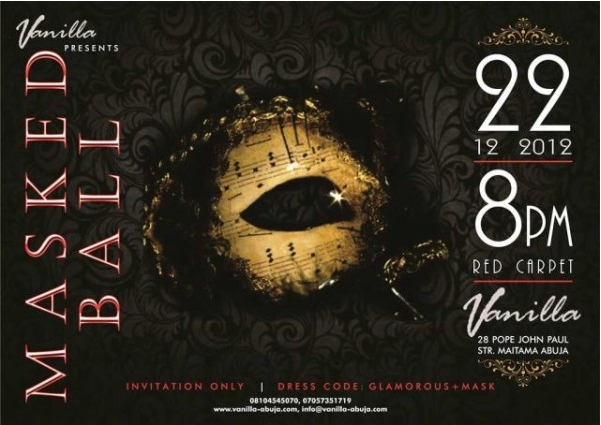 Vanilla Restaurant and Lounge, Abuja will host its first annual Christmas ball today, December 22, 2012. The event called Vanilla Masked Ball in style of a Venetian masquerade ball is strictly by invitation for all Vanilla guests. Interested? Visit Vanilla Restaurant Lounge and buy a meal or hangout at the lounge.